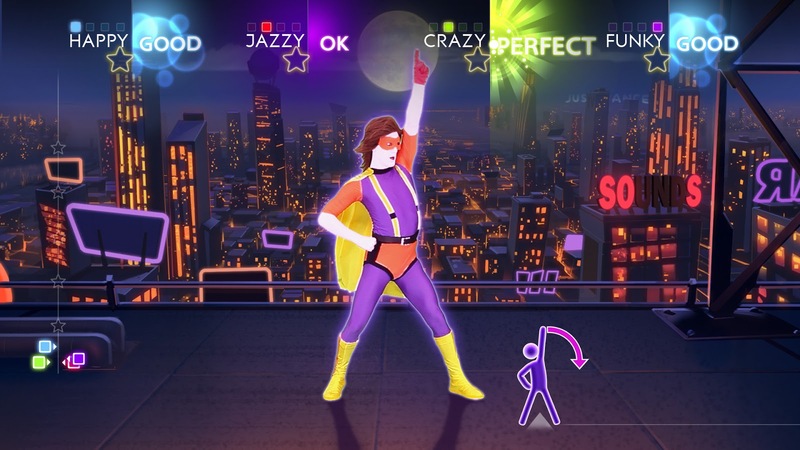 Limiting the title of your game to 'Just Dance' may not be the best way to attract sales from Ubisoft's side as usually we are always looking more value. Fortunately the fourth iteration of the game has some extra features which may or may not be the included in the 'just' dancing part but are certainly part of the game. But the question remains, will updated tracks and minor visual updates be enough to convince fans to buy another disc or should Just Dance 4 have just been a DLC pack? There's not much to see on screen during the game, the main screen is occupied by the pre-selected dancer often made to accompany the soundtrack or a pseudo attempt to mimic the artist. There are also small screens that represent what the Kinect is tracking for each player as well as a performance indicator to show how well you are doing. 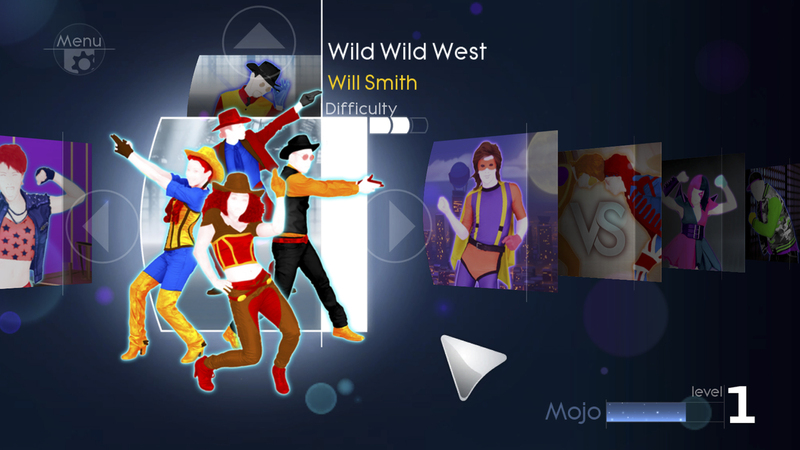 Each move is pre indicated through a timeline feature which shows the next move in the choreography come in from the right of the screen during gameplay. Just Dance like there's no tomorrow... see what I did there? Each move is rated as you play and at the end you are awarded a rating out of 5 stars which gives you experience towards your 'Mojo' level. At the end of each Mojo level the player is awarded with a spin the wheel type reward which either rewards the player with a in-game avatar or a new challenge on a previous song. Naturally the songs that are included are fairly recent and the choreography is genuinely fun, appealing to both sexes and all ages. It's hard not to get drawn in by the pop art visuals and funky backgrounds as well as the fact that watching a person genuinely making a fool of themselves in front of the telly with a very serious look on their face also appeals to audiences. 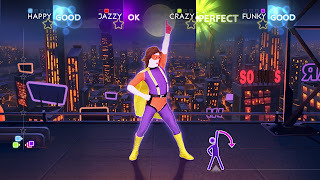 Jokes aside, if you play this in a room full of people, providing you have enough space for the Kinect to do its thing (effectively tracking everyone without the need to have paramedics on speed dial) you will most likely get a lot of involvement from anyone in the room regardless of whether they are gamers, dancers or couch potatoes. Of course each song has its difficulty level but it doesn't feel like the game is unfair at any point. Each move is pointed out clearly in the form of stick men on the bottom of the screen. And it’s only the inability to adjust the varied dance moves that can cause your downfall, that and if you are as flexible as a steel beam. There are a few negatives unfortunately, although the cursor is really cool (a floating hand) it has a tendency to be rather inaccurate at times, once you select an option by moving your hand towards the screen and quite literally attempting to touch the option, you simply pull it back to confirm, which probably sounds great and looks really cool but only when it works. The problem is that if you accidentally select the wrong object/menu/song there is no way to then change that choice without going back to the previous menu, not much of a pain but as you will make mistakes it taints the otherwise smooth gaming experience with a bit of sloppiness. It's hard not to get drawn in by the pop art visuals and funky backgrounds as well as the fact that watching a person genuinely making a fool of themselves in front of the telly with a very serious look on their face also appeals to audiences. Bold, funky visuals that look to attract. There is a great list of up to date tracks available with the game and remixes as well as alternate game modes, such as battle mode are unlocked as you play, the list has also been extended with DLC tracks such as Gangnam Style by PSY. Unfortunately these seem to lack the feature included with the on-disc tracks which allows the player to generate a short movie from clips recorded whilst you are dancing that is stylized hilariously at the end of a track. Aside from that the DLC tracks are just as prone to give you an epileptic fit as the others with the never ending flashes of light and merry-go-round unicorns with sunglasses dancing backstage. 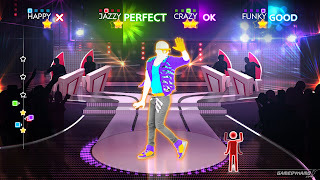 The first thing to notice about Just Dance 4 is the fact that it does not contain a story like its rival, Dance Central and it’s also not narrated by Ja Rule or have flashy 3d graphics with a crazy choice of avatars, personalization and customization. So what exactly makes this game so damn fun? Well it all leads back to its title, Just Dance. There is literally nothing in between and its simplicity and dedication to its motive is what makes it spectacularly fun. The strangest thing about the game seems to be the fact that it has an almost Nintendo like feel to it simply because of its simplicity. There are no complicated instructions to the game and that perhaps is its greatest strength, the fact that you're goal is clear and all you have to do is follow what the player does on screen making the game easy to play without the fuss of navigating through complicated menus in order to get started. 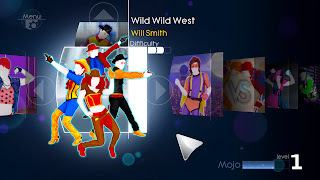 Just dance 4 has many things going for it, simplicity and style to name a few but it's best feature is interaction, with the people around you as well as the game itself and if you have an unused Kinect lying around as well as a couple of bored people watching you play shooters again and again perhaps it's time to break the ice and hopefully not the floor with Just Dance 4.